As a bonus, even the backs of the cards can be colored. 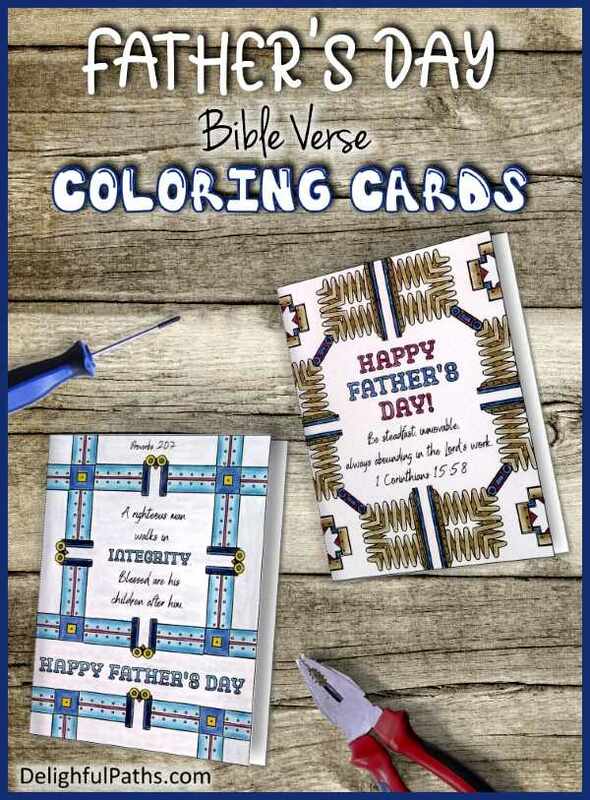 I colored these cards using some bright primary color schemes. 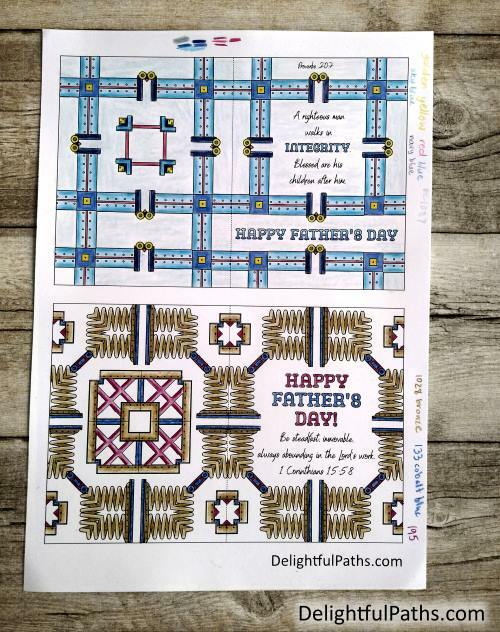 But if you need to make the craft even quicker, you could just color the front section of the card and cut off the back section at the dotted line (without coloring it). 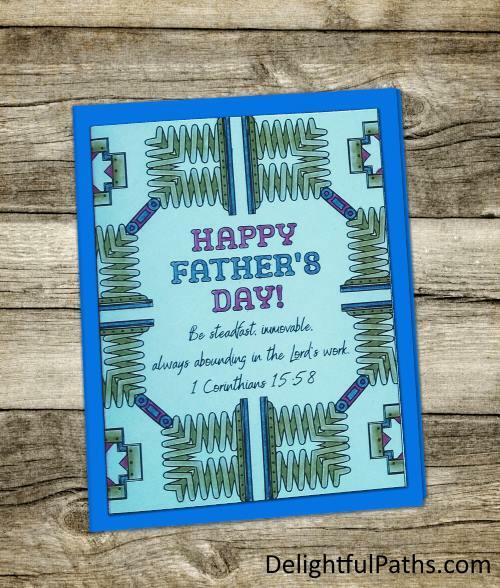 Then you can stick this front section on contrasting colored cardstock to make an effective card. 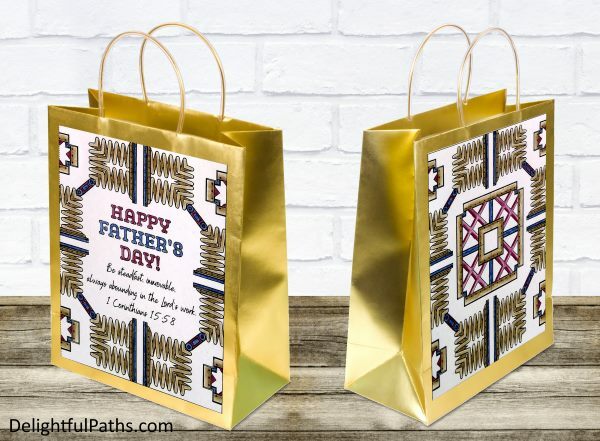 If you’d like a really personal way to gift wrap your gift for your dad, you could color just the front, or the front and the back sections and stick them to a small gift bag. Subscribe (free!) 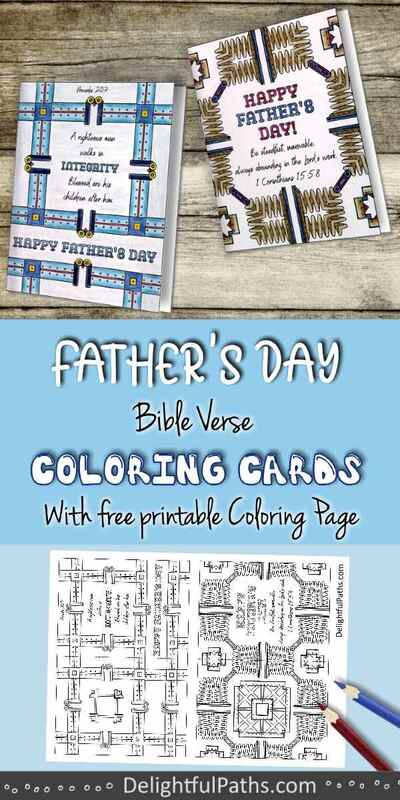 to get access to the coloring page for the metal father’s day card coloring page (as well as my whole resource library with all my coloring crafts and printables!) Once subscribed, I will send you a semi-regular newsletter with details about my new free files, occasional offers, and other things you may be interested in.